We want to learn more about your market organization! 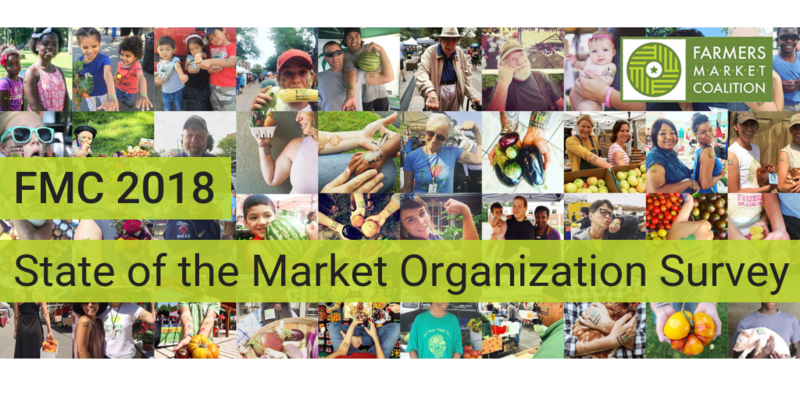 Each year, FMC receives scores of questions from market organizations, researchers, reporters, and funders seeking more information about how farmers markets across the country operate. 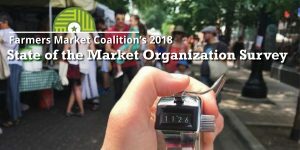 Build and expand community support for markets nationwide. Offer researchers important benchmark data to improve local food systems. Highlight the impacts and challenges market operators face among potential partners and funders. Before you get started, we recommend that you review the questions first, (available in the PDF document here) to make sure you have all the information you need on hand. The survey should take no more than 10 minutes to complete. The due date to complete the survey is Monday, December 3. Five participants will be selected at random to win a pack of I ‘Heart’ Farmers Market tattoos! We will also share the results of the survey in FMC’s “State of the Markets” report at the end of the year. Please complete only ONE survey per market organization.